Plumbing problems can be a nightmare. When your home fills with water or your toilet doesn’t work, the consequences can run from inconvenient to ruinously expensive. The good news is that many plumbing problems have warning signs. If you pay attention to these signs and get help quickly, you should be able to avoid a catastrophe. You should only hear water running through your pipes when people are actually using the water. Sometimes a refrigerator’s ice maker or a sump pump will make a gurgling sound, but if you are hearing a constant trickle, there is a good chance you have a leak somewhere. If you still aren’t sure, check the water meter. If no one is using water but the meter is spinning, then water is going somewhere bad. You can quickly check whether your leak is in the cold or hot water pipes by turning off the water valve to your hot water heater. If that stops the sound and the spinning meter, the leak is in your hot water pipes. Otherwise, it’s in your cold water pipes. Turn off all the water to the house and call for plumbers in Akron Ohio. Brown or wet spots on floors, along the wall, or in the ceiling are never a good sign. Ceiling stains could be a roof leak, but if you haven’t had a lot of rain or if the spots are in walls or floor, a water pipe leak is likely to blame. Even if you aren’t hearing trickling water, there could be a small leak that is building over time. Don’t put off getting this checked out. The last thing you want to do is come home from work or the store only to find that the leak has actually become a flood. Sulfur smells like rotten eggs and this smell could indicate that your sewer pipe or a vent have broken. This is a very serious issue. A leak like this could be dumping raw sewage and water into and around your foundation and wreaking havoc with the environment. Any time you smell sulfur, call a plumber as soon as possible. From there, you may have to also call the city if the issue is serious, but if you catch it early, you can probably avoid the worst. Slow drains are a warning sign. There is probably a clog developing, and the longer you let it go, the harder it will be to get the clog loose. A really bad clog that gets ignored for long enough could even damage your pipes. Use a plunger or snake to try and clear the block. Over the counter drain cleaning liquids may help, but use them carefully and always read all the directions carefully to avoid injury. 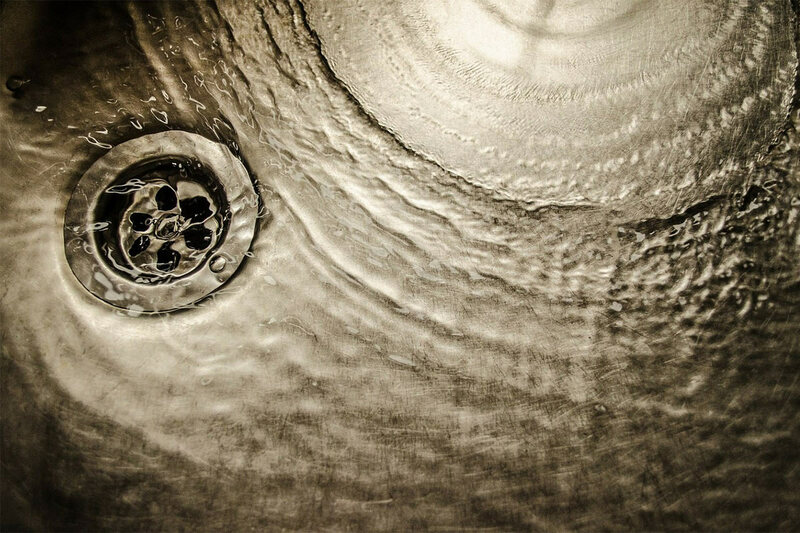 If these remedies don’t return your drains to their regular draining speed, call a plumber. If you notice that your water pressure has become poor, there are a couple possible issues at play. If the problem is at a faucet, try unscrewing the aerator and cleaning if off. Poor shower pressure could mean you need to clean out the shower head. If these don’t fix the problem, or if the drop in pressure is very sudden, it could be much more serious issue like a break in your pipe, a leak, or a tree root breaking through a water pipe. Be sure to call a plumbing professional immediately.